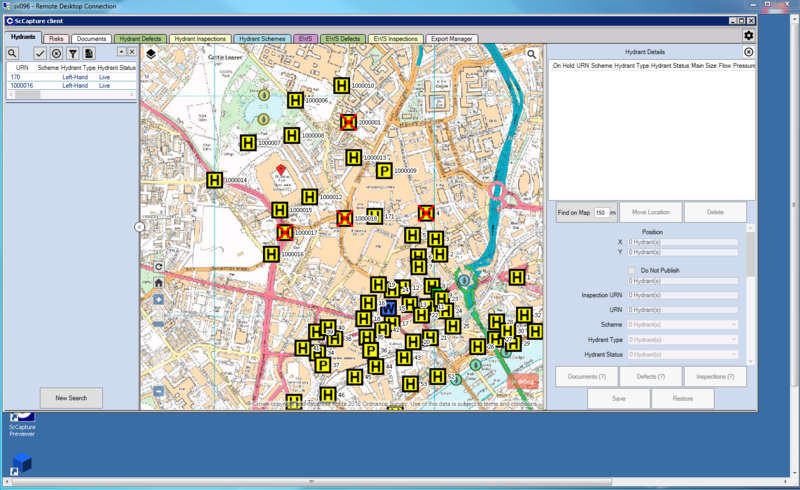 Addition of a ‘send current map to another tab’ function to reduce map navigation when switching between schemes, hydrants and EWS. We will email you when the new version of ScCapture is released and ask you to log a call to request an upgrade. For those of you not yet using ScCapture who would now like to discuss your upgrade options, please contact us via the Service Desk. If you have any thoughts or questions on the features included (or not yet included) in this release then please get in touch.